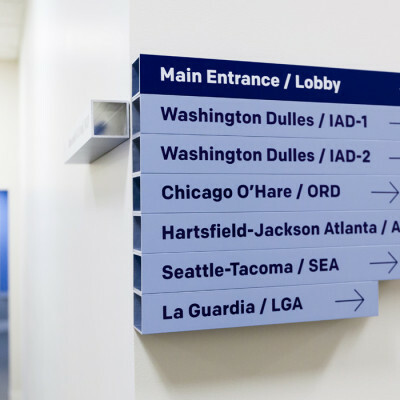 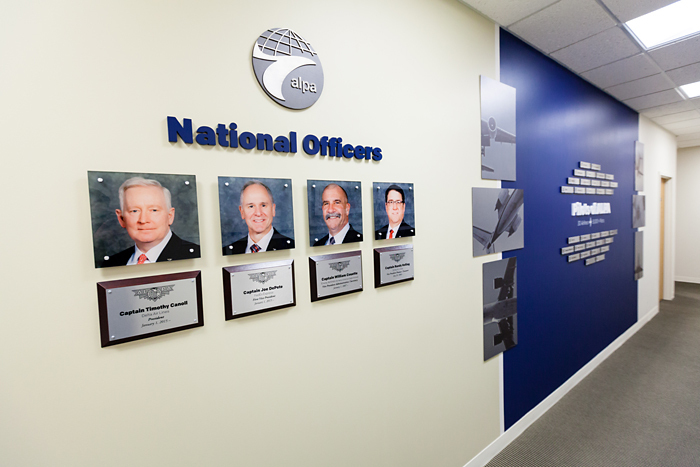 Phase 2 of our work with the Air Line Pilots Association included additional hallways within the newly renovated building. 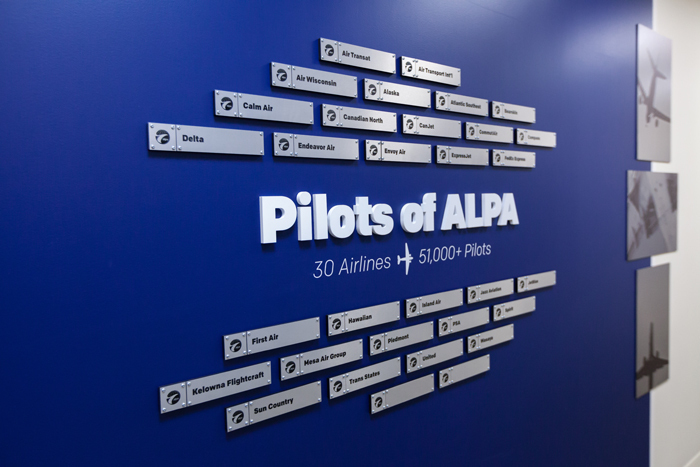 Using our comprehensive design program we divided each hallway into separate opportunities to communicate different pieces of the ALPA story. 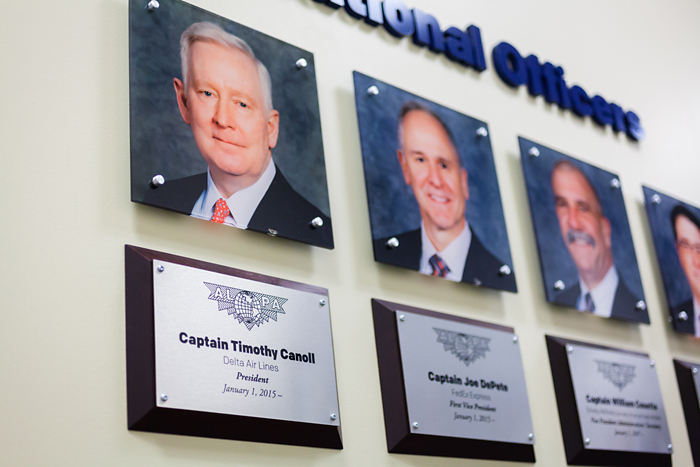 Closest to the lobby we created a custom changeable display for the current National Officers and Pilot Groups. 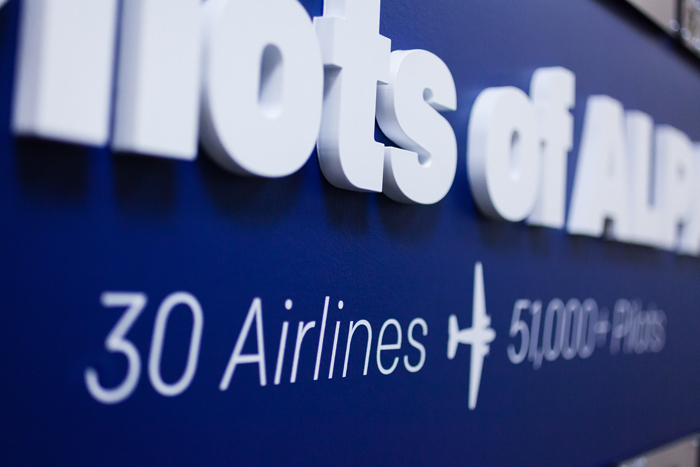 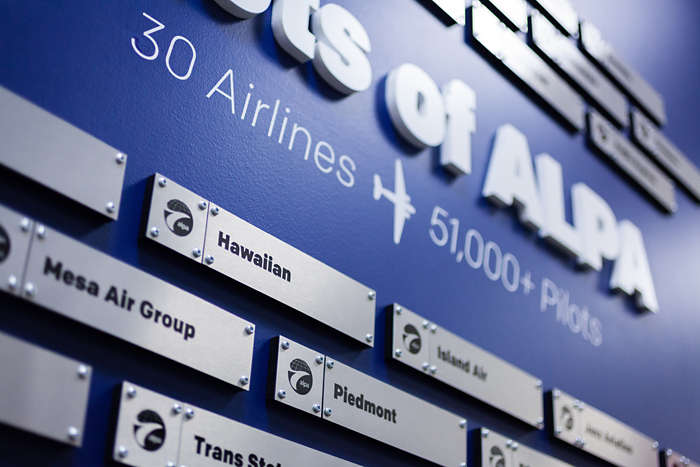 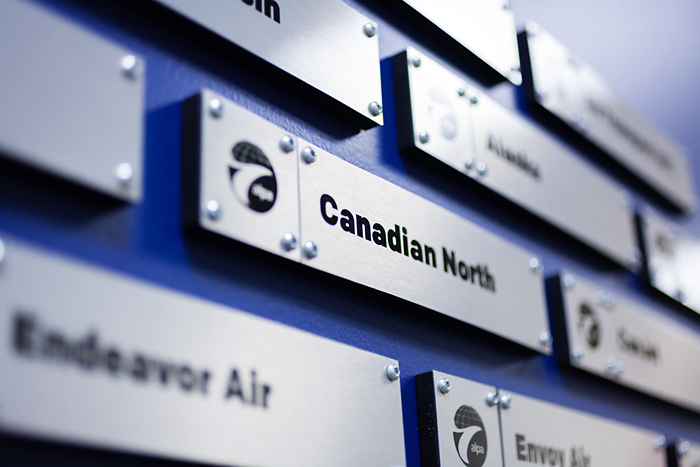 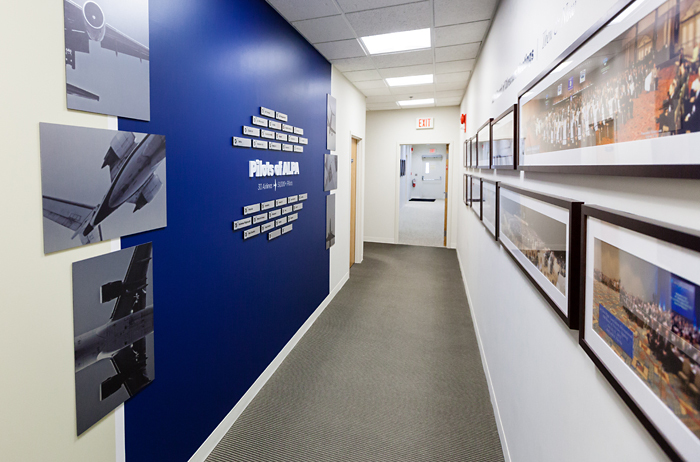 In other hallways we displayed photographs of the physical offices of ALPA through the years, classic aircraft, and the Board of Director meetings, each communicating snapshots from ALPA’s history.